Kenyan Premier League (KPL) champions Gor Mahia have signed Zambian exciting winger Julius Situmbeko on a two year deal. The 20 year old has been in K’Ogalo’s radar for some time now and is currently in the country with the Zambian squad in the Gotv Cecafa Senior Challenge Cup. Situmbeko currently plays for Power Dynamos in the Faz super league and has been touted as a great talent. “It’s true I have signed a two year deal and I am supposed to report back in Nairobi on December 27. I have heard of Gor Mahia and I believe I can make difference in the team by working hard with the rest of the players,” Situmbeko also known as Julio told supersport.com. Situmbeko’s lucrative deal will see him as one of the top earners in Kenya . KPL defender of the year David Owino “Calabar” scored Kenya’s third goal as the Harambee stars recovered from their poor start against Ethiopia to defeat South Sudan 3-1 in their second CECAFA cup match. Owino’s goal came in the 77th minute when he made a brilliant solo run down the left lank then clinically placed the ball beyond the Sudan keeper. Kenya’s first goal came via Jockins Otieno Atudo who converted a penalty in the 17th minute. Richard Jistin leveledfor South Sudan in the 26th minute. Jacob Keli scored the second goal in the 29th minute. The other Kogalo player to see action was Edwin Lavatsa who replaced the injured Jacob Keli. Other Kogalo players in the CECAFA tournament are Ivo Mapunda who is between the sticks for Tanzania and is said to have received offers from other teams as well as Dan Sserunkuma who scored the winning goal for Uganda Cranes over Rwanda. 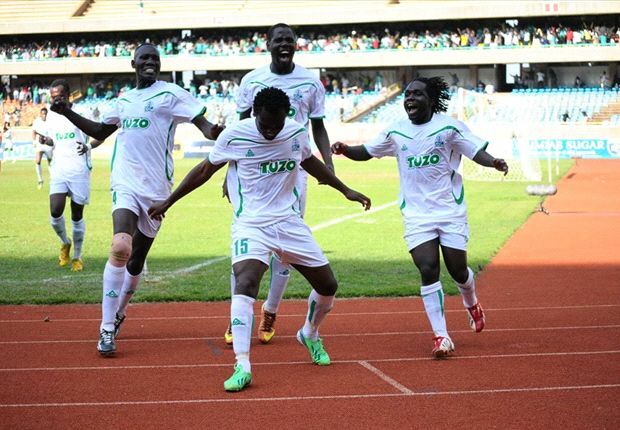 Gor Mahia will spend on new players in the transfer window, a club boss has revealed. Gor will be looking to do well once again in the Kenyan Premier League and make an impression in the CAF Champions League and according to Ngala, they will spend to ensure they do so. – We will spend money in this window. We will do our best to strengthen the squad we have and give is as much as chance of performing well as we can, he told Futaa.com. – We are just awaiting the coach’s recommendations and then we will move on from there, he said. Gor Mahia are reportedly chasing for the services of CECAFA guests Zambia winger Julius Situmbeko. Reliable sources said the player was among the clubs’ wishlist. Situmbeko was not fielded in their one-all draw against Tanzania. In a separate interview with futaa.com, the 22 year old confirmed of being approached with a decision not yet made. 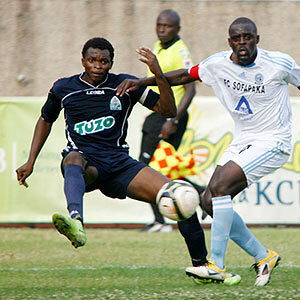 -Yes I have been approached by various KPL clubs, Gor Mahia in particular, stated Situmbeko. I am yet to agree as I have to know the terms and conditions at the club before I make a move. Situmbeko features for Zambian top tier side Power Dynamos with an ability to ply freely on both flanks. Gor will also drop some players in the coming days. Kenya’s Harambee stars were held to a scoreless draw by Ethiopia’s Walya Antelopes in the second match of the ongoing CECAFA senior challenge cup. All in all it was a disappointing show by Harambee Stars against an Ethiopia side that included only 7 of the players who recently did duty for Ethiopia in the recent world cup qualifiers that saw Ethiopia only one step away from going to Brazil in 2014. Edwin Lavatsa was slotted to play upfront to play alonsgide David Gateri and Allan Wanga while David Owino and Musa Mohamed played in their usual defensive positions. Jerim Onyango was on the bench. Reports suggest that Owino and Musa Mohamed were solid in their respective positions Anthony Akumu played well in his defensive midfield role. The entire forwardline including Lavatsa and Gateri were completely at sea. Allan Wanga had the first chance of the game on 18 minutes but his header from David Gateri’s cross went over the bar. Gateri had done well on the wing to leave his marker and float in a well heavied cross but Wanga headed over. Captain of the day Francis Kahata had a chance minutes later but his shot went wide after Ethiopia failed to convincingly clear away a throw in. 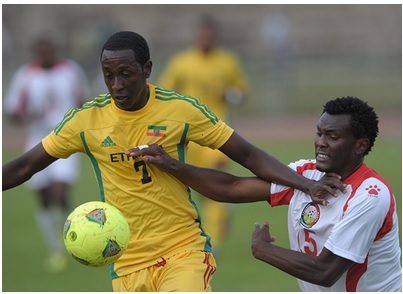 Ethiopia then took dominance of the game passing the ball around with ease as the Kenyans seemed lost at times. Ethiopia’s short passing mode made the Kenyans sweat especially in the middle of the pack. Duncan Ochieng was called into action for the first time in the 38th minute, making a full stretch save to deny Gabremichel Yakob’s shot from the edge of the box. In the second half, the home side were determined to get in the much needed goal. Allan Wanga saw his 50th minute shot go just wide after a swift turn to leave his marker inside the box. Ethiopia had appeals for a handball turned down in the 60th minute as they protested that Aboud Omar had handled inside the box. However, Ugandan referee Dennis Batte had none of it. Jacob Kelli came in for David Gateri who was tiring off and Musa Mohamed limping off injured as Mulinge Ndetto took his place. Ethiopian Captain Fasika Asfan tested keeper Ochieng from a free-kick but the latter collected with ease. With time running out, pressure mounted on the home side with the Ethiopians resorting to holding the ball. Allan Wanga had two chances with shots on top of the box but none of those went in. Ethiopia would have pulled a late one with an unmarked Manaye Fantu heading in at the far post, but his effort went wide. Six Gor Mahia players have been named to the squad Harambee stars squad that will start their 2013 CECAFA senior challenge cup campaign on wedesnday against Ethiopia. The six are goalkeeper Jerim Onyango, defenders, Musa Mohamed and David Owino, midfielder Anthony Akumu and strikers Paul Kiongera and Edwin Lavatsa. Kevin Omondi who played a key role in the 2012 CECAFA campaign and who played some stellar games for Kogalo towards the end of the 2013 season has been inexplicably left out. The stars will be bidding to win the CECAFA cup for the first time since 2002 when a 17 year old Dennis Oliech turned into a one man wrecking machine, scoring in every game as Kenya lifted the trophy in Dar es Salaam. That victorious squad had no Gor Mahia players as Gor Mahia were going through the leanest period in their 45 year history. Football Kenya Federation (FKF) has released a list of Under-20 players to take part in the COSAFA Under 20 championships set for Maseru, Lesotho from December 3rd to 14th. In the squad are three Gor Mahia players: Anthony Gathu “Gaucho”, Angelo Okumu and Joseph Wanyonyi, the latter of whom had a superb second leg that saw him earn a position in the Kogalo starting line-up during the final lap of the 2013 league campaign. Gor Mahia fans under the auspices of the Gor Mahia fans foundation participated in a visit to the Kenyatta National Hospital (KNH) on Saturday to share love with the sick little ones. The events was organized by fans to share the champion’s feeling with the community after a sterling performance in the 2013 season of the Kenya Premier League (KPL) which saw Gor Mahia win the title after an 18 year hiatus. 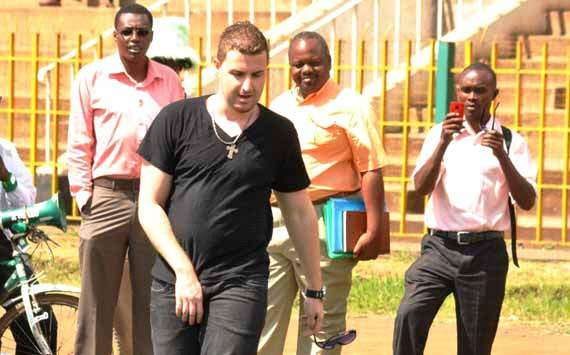 The statement from the foundation read as follows : “GOR MAHIA FC fans on Saturday 23rd November 2013 visited children admitted at the Kenyatta National Hospital – Paedriatric Oncology Ward. The fans donated fruits, toys, toiletries and other personal consumables to the children. The fans also attended a mass service at St. Stephen’s Catholic church – Jogoo road on Sunday as a way of appreciation and thanking God for the good season their club had. The church dedicated a portion of their 2 hour service (9am to 11am) to offer prayers to the fans, club and the team. Gor Mahia fans also contributed money towards completion of the Church’s perimeter wall project. What a way to thank God for the season. The Gor Mahia management is unaware of any player’s departure after the 2013 season, at least until the technical team meets the management for a discussion on the same. Reports have been rife in various quarters claiming that defender Israel Emuge, veteran midfielder Moses Odhiambo, Dan Sserunkuma and a few others have left the club but according to vice chairman Faiz Ochieng, those are just rumors being peddled on social media. The K’Ogalo official said the management will have a post season meeting with the technical bench soon to discuss about the team and noted that after that is when such matters will be clear. -As an official I do not believe in rumors posted on social media. When we sign players we give them contracts to sign on paper, we never do that on social media. If Emuge or anyone else is leaving, the technical team will tell us. That is why we have a technical bench – to be the link between management and players. -So as far as I know, no player has been released. We just finished the season the other day and we have not had a meeting with the technical bench for a season review. We will have a meeting soon and such matters will be clearer thereafter, he told futaa.com. Gor Mahia claimed their first league title in 18 years this season but their quest for a double fell short after a 0 – 1 loss to AFC Leopards in the GOtv Shield final. 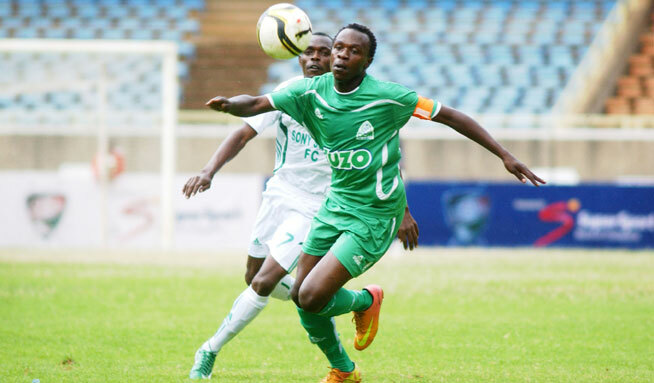 Gor Mahia forward Danny Sserunkuma is reported to be reconsidering his earlier stand to leave the club after the 2013 season, in which he helped K’Ogalo secure its first league title in 18 years. The player is reported to have handed in a transfer request after the GOtv Shield final but according to club Vice Chairman Faiz Ochieng, he spoke to the player during the KPL Awards on Wednesday 20 November and the Ugandan is willing to stay on. Faiz admitted that it is indeed any player’s wish to move to a higher league with much better terms and had spoken to the player about it with the hope of a good deal materializing in future. He as well reiterated the club’s declaration not to stand in the player’s way in case a good deal comes by. -It is true Danny wanted to leave but I spoke to him during the KPL Awards, a very open discussion and he told me he is willing to rethink his earlier demand and stay on. I know it is always every player’s desire to move to a higher league and with better terms so with him is not different. -I am of the view that if he takes his time he will get a better move and as we had already said, we cannot stand in his way when the right deals comes, he told futaa.com. Sserunkuma was the subject of a failed transfer move to Armenian top flight side Banants FC earlier in the 2013 season.